This is a thread to post about what's on your makeup wishlist. All of it? I'm a bit of a make up junkie. Right now I'd really like some Viseart palettes, but the price tag still makes me cringe even if the quality is there. I'd also like to invest in some high quality brushes, but again, the price tag on a student budget. Me I really want some Morphe brushes. I have to say though I'm really obsessed with soft buffer makeup brushes now. I used to use a beauty blender and notice that I'm using less product with the buffer brushes. Next paycheck I'm going to give it a whirl! Morphe isn't really that great, from what I've heard. They get a good reputation from YouTube because 80% of the people that talk with them are getting a kickback from affiliate links and discount codes. They're just private label brushes from China. (Crown Brushes are the exact same product.) I would recommend Sigma brushes! That's what I use and they're amazing. I have the MAC brush that looks like those crazy toothbrush/hair brush shaped brushes and that's my favourite for foundation along with my beauty blender. I'd love to be able to try out a Wayne Goss brush set, or Chikuhudo. I've wanted Glossier products for SO LONG but they don't ship to Canada. I really want to try Brow Boy and the Balm they have. I'm also curious about MILK make up. They have some really fun looking products. Have you ever tried any of the Anastasia BH eyeshadow palettes? I own three and they're my absolute favourite. The formula is amazing. I have the Modern Renaissance palette! Its amazing and I reach for it everyday! The colors are so pigmented and so blendable, all colors in that palette pair well with the other colors. I didn't get the Master Palette by Mario when it was around and it was only limited edition What was the other Anastasia eyeshadow palette? I have super finnicky skin but I've been working with my dr on correcting it. I'd love to do the no make up look more often but it's currently not in my wheel house. I got the Mario palette! It's fantastic. I woke up at 7 am to order it, and then went back to sleep. It's an older palette, and it's called Couture something. They've been teasing a "sister" palette to MR that I can't wait for. I hope it's some cooler tones. I love the warmth of MR but it would be nice to have something to compliment it. Yes all of it j/p. 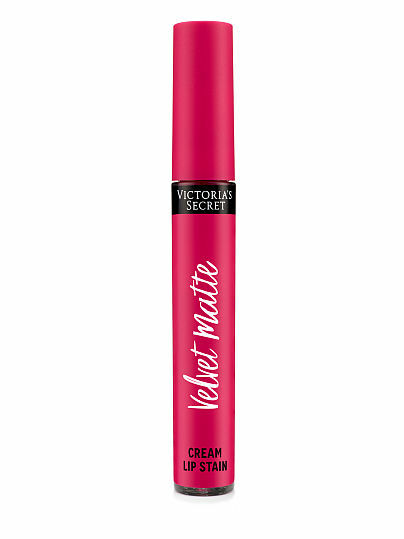 I just bought one of their new Velvet Matte Cream Lip Stains and they're amazing. I have the shade Drama. I've heard that the VS lips are super drying. You're finding them okay? What? I think they're the opposite. These ones feel exactly as they're described. They're matte but creamy at the same time and very light on the lips. Feels like a dream and the color pay off is great. I would recommend. Looking at the reviews online it seems alot of people actually like the VS Matte Lip. But I don't know, for $14 I can spend an extra couple of bucks and get a really good Anastasia liquid lip or something. Also I tried Ofra a couple of months ago and have to say I'm impressed. Bought a liquid lip and its super creamy and highly pigmented. Doesn't get very dry like some liquid lips do. Long lasting, and made to order too. I got the shade "Sao Paulo"
And Too Faced Sweet Peach collection liquid lips are pretty nice. They are super moisturizing and go on more like a gloss or a balm rather than a matte liquid lip. But the color payoff is nice (not super great though) the formula is pretty comfortable for everyday wear! I have one Anastasia lip and I think I got a bad batch or something because it's awful. It pills and flakes and is so drying but everyone else I know RAVES about them. I need to pick up another colour and see if that's better. I really like the Kat Von D Everlasting lips for a liquid matte. I have literally 100+ of the Colourpop lips. I like all of their formulas a lot. I find that for the price they are, they're the best value. Not the best liquid lip formula but for the price, really decent. There are a couple indie brands I really want to try, but the shipping costs and whatnot have deterred me. I'd like to try out Melt and Beauty Bakerie. I've wanted to try OFRA for a while too! Bite makes my absolute favourite "regular" lip. The Amuse Boche formula is so creamy and pigmented. ^Maybe you got a bad one I have the shade "Heathers" and its fantastic!! That being said I know formula can vary among colors Their lip glosses are actually pretty great too, I'm not a huge fan of gloss, but their's is super pigmented and just drys glossier instead of matte. Heathers looks like my ideal fall lip colour. I might have to pick it up next time. I haven't tried any of their pressed power eyeshadows but I want to! You'll have to let me know how they are if you pick some up. I have a lot of their super shock shadows and I like them a fair bit. Their blushes are nice too but avoid their contour sticks at all costs. They're awful. I'm going to check her out! I like seeing Youtubers with my skin tone and colouring so the swatches give me a better idea and she looks close! I get all my makeup at the drugstore. The more simple the better. Just some concealer and some pencil eyeliner. I'm late to the party (damn you work) but I second what @toodarnhot said @katchitup. Spend the extra few bucks and get the Sigma brushes. Morphe are hit and miss. I have an excel spreadsheet of stuff for a makeup wishlist. Mostly single shadows from MAC and makeup geek to make my own little palette and condense my collection down. Also a lot that I want to try out. Glossier update! Packaging was so cute, but man the products are tiinnnnyyyy. Though I will say this, a little goes a long way with all the products I got, which is nice. The boy brow is amazing, very Cara Delevigne, tube is hella tiny but one dip on got both my brows perfect! Fills in sparse areas and fluffs them up! The cloud paint is amazing too, I got it in the shade "Dusk" and it adds a perfect amount of color to your cheeks, looks so natural and makes you look fresh and awake! I need the more pinkish toned colors! Balm dot com is great, smells like coconuts and stays moisturizing on the lips. Nothing too amazing about it though. Not sure if the price point is worth the size, but Boy Brow and Cloud paint were amazing, and a little went a long way with each product, so I guess the price was justifiable, and they looked great. Ugh! I really hope I can get my hands on them soon! I've been thirsting over Brow Boy since it came out. Thanks for the update! Sephora 15% VIB sale is coming up this month! Anything you guys might try to pick off the wish list during the discount? I'm going to stock up my skincare regulars and the Bite Agave Lip Mask for sure.